Senator Ted Cruz’s long speech on the Senate floor against “Obamacare” (the Affordable Care Act)might have been a remarkable spectacle and certainly led to a lot of press coverage. But many of his statements do real harm. Declarations like “you don’t want an IRS agent deciding if your mom lives or dies,” lead to people calling our office in fear that they will lose their health insurance. (For the record, people on Medicare will stay on Medicare.) The relentless efforts by Senator Cruz and others to turn people against Obamacare, to the point of telling them not to sign up for health insurance they may desperately need, brought to mind a contrast with the implementation of Medicare Part D, the prescription drug benefit that was passed under President George W. Bush. 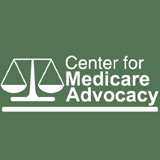 In 2006 people were starting to enroll in Medicare Part D. It was not the drug benefit that many of us in the Medicare advocacy world wanted. It was administered by numerous private insurance companies rather than being a straightforward, public Medicare benefit. Its structure was difficult to explain, with a big “donut hole” that left many vulnerable people with high out of pocket costs. It prohibited Medicare from negotiating lower drug prices from manufacturers. We voiced these complaints and advocated for a different kind of drug coverage. But Part D was the drug benefit we got. It was the law, and we knew people on Medicare who were in desperate need of prescription drug coverage, even if that coverage was imperfect. Many of us had clients who split pills, skipped doses, or had to choose between medicine and food. So we went to trainings, gave talks at senior centers, helped people choose plans, and helped resolve problems that prevented some from getting their medications smoothly. Once Part D got started – and it was a rocky start – we even filed lawsuits to make sure that people were actually getting the Part D benefits they were supposed to get, improving the existing program. We did not try to prevent Part D’s implementation, “defund” it, spread falsehoods about it, or try to make it fail.. We tried to make sure people could make the best possible use of Part D, because people needed their medications. We did and still do advocate for changes to Part D (like closing the donut hole, finally being accomplished by Obamacare!). Today there are millions of people who need health insurance and cannot get it. Obamacare will help them get that insurance. (Luckily, there are also people working hard to enroll the uninsured.) This new program may not be perfect, but obstructing its implementation, scaring away people who truly need insurance coverage, placing political gain over the urgent medical needs of real people – those tactics should be out of bounds. How much does Mitt Romney really care about Medicare’s solvency? A lot. So much that he has decided not to enroll or use it at all – even though he’s turning 65. What should we take from this? One thing for sure, Mitt Romney can afford a whole lot more financial risk than most Americans. Unless he has private insurance that will pay as the primary policy even after he’s Medicare eligible, Mr. Romney is accepting a huge liability if he intends to pay for his own heath care. Either way, he’s in a very different position than the vast majority of older and disabled Americans who MUST rely on Medicare to help pay for their health care and can not obtain insurance that will take its place. Is Romney going to lead a battallion of well-to-do Americans out of Medicare? Leaving behind those who can not afford to pay either for their own care or for preciously rare primary insurance available to people eligible for Medicare. What a shame that would be. Mr. Romney should enroll and rely on Medicare coverage like most Americans do when they turn 65. As a would-be national leader he should experience firsthand what works and what doesn’t, what coverage is and should be available. He should be part of the Medicare community and help it stay viable for all those who look to this national treasure to help pay for health care. If Mr. Romney really cares about Medicare he should vote for it with his feet.